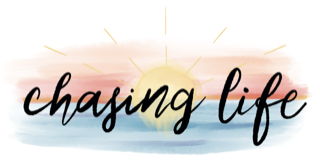 Romancing the Phone | Chasing Life! Oh another glorious Valentine’s Day! A day when couples love hard by going on expensive dates, buying each other gifts, and kissing a whole lot! For most of my adult life, I can honestly say Valentine’s Day has done me well. I’ve had my share of lovely deliveries made to my home (the typical flowers, chocolates, etc.) However, I know well that this time of year, many singles, widows, and lonely people dread significantly perhaps because it reminds them of what they once had, or of a broken relationship, or maybe because it reminds them of how pitiful their current situation has become. Believe it or not, I have been there, more times than I care to admit. This year brought me much unwanted anxiety as I made peace with the fact I would be spending the day alone for the first time in more than twenty-five years. As my husband Brian was in Europe at the time, I dreaded spending the day without him. The struggle of being separated during these last few months had taken its toll on me and I was feeling like boycotting Valentine’s Day altogether (I know, drama queen, right?!) I prepared myself mentally to spend the day at home, wallowing in self-pity, while eating a whole candy bar size of dark chocolate and stale crackers with cheese, and maybe an orange just to make me feel somewhat healthy. All day I want you to listen to the playlist I sent you. I picked some songs that I thought you’d enjoy. I have made late lunch reservations for you at the Dragon BBQ restaurant for 2 PM. The restaurant is at 2300 Pleasant Hill Rd, Suite B3, Duluth, GA 30096. Text me once you are there and enjoying the meal. I want to facetime you while you are at the restaurant! 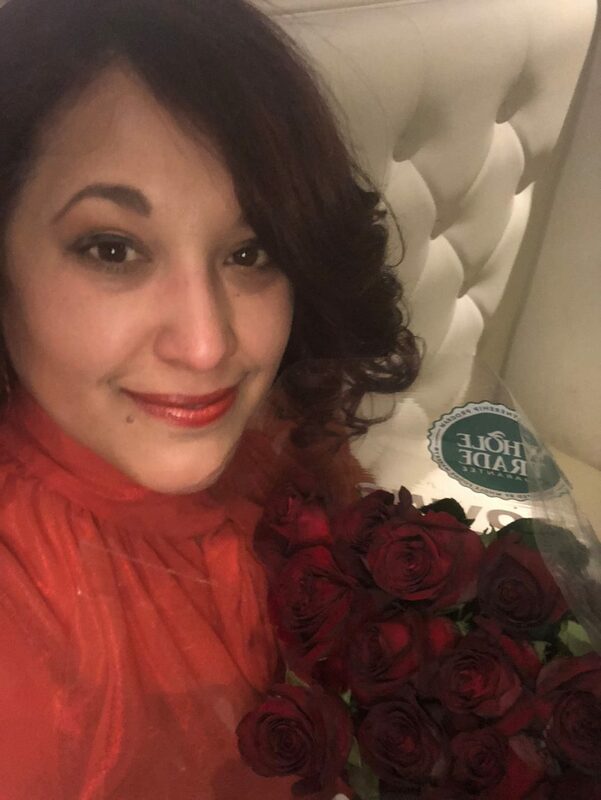 I jumped off the bed, showered and dressed to kill-I mean this was a new take on our usual Valentine’s celebration, so I was ready for whatever! I arrived at the restaurant and the hostess was already expecting me. He took me to my table and said my husband gave him specific instructions to take good care of me. #Winning! My excitement was met with a bit of awkwardness when I looked around and there were couples dining together all around me. I felt a knot on my throat and the tears beginning to swell up in my eyes. I realized then that this was a Korean BBQ restaurant. If you have ever had Korean BBQ, you know that it is a social type of meal. You basically cook your meat while you talk with family/friends. the meal could take up to two hours with conversation and all the side dishes. My heart sank…I ordered Bibimbap instead. I called Brian after collecting myself, and he had me place the phone on the table so we could talk while I ate. It was just as if he had been there in person, and probably one of the most romantic dinner dates I have ever had. I cried from happiness to be able to talk with him for more than fifteen minutes here and there (because of time zone differences and schedules). I am sure others thought I was totally romancing the phone! He had prepared a trivia game for me (so uncharacteristic! ), all the questions were about South Korea, and I, of course, got a 100%, because studying about South Korea has been a hobby and passion of mine for years. Afterwards, he asked me if I noticed that there was a theme to our date. And it dawned on me that the music selection he sent me was a collection of K-pop romantic songs, the trivia was about Korea, and he sent me to a Korean restaurant. I was touched that he put so much thought into this “Korean theme” date. He then proceeded to drop the bomb; “Actually, this isn’t your gift…I’m taking you to South Korea in three weeks when I get back home!” Wait, what?!?!?! Needless to say, the night ended with lots of tears, laughter, and two dozen red roses he had delivered to my table. My heart was elated, my stomach was full, and my head was dizzy from the shock. Within two days I had planned our entire two-week vacation, and found myself sleepless with expectation and anxious excitement. In my next couple of blogs, I will share details about that amazing vacation, but I want to leave you with this thought; find something to do on special days when you are missing your loved one, or if you are single, then your would be loved one. Don’t stay home rehearsing your misfortune, or feeling lonely and sad. Plan ahead on those days and dress up, reserve a table at a nice restaurant, and pamper yourself to something cool or new; celebrate yourself! In time, there will be someone there to celebrate with you, and to shower you with attention and the love you deserve. For now, learn to fall in love with yourself. For those who already have someone special, why not think out of the box and surprise them with something they don’t expect? You don’t have to spend money to make special memories with someone you love. My favorite part of this Valentine’s Day, was talking with my husband on the phone throughout the meal. Yeah, the South Korea trip was awesome, but I was happy and felt truly loved before I even knew there was more to come. Thanks for visiting and come back next week for the pics and stories of our trip. Can’t wait to share! WOW. An out of this World Valentine’s date. I loved reading this and enjoyed it by just imagining your reactions and your beautiful face glowing with joy. That’s what TRUE LOVE is all about. You are blessed !!! ???????????? Thank you for visiting and for the encouragement. There was a lot of crying and big smiles for sure! I am blessed to have such an amazing husband. I am in tears ????. You are so right, staying at home and feeling miserable is worse. Not only for a couple relationship but for any sadness situation. Sometimes you just gotta be your own personal trainer or coach and push yourself to move forward. You are your own best doctor! Wanda, Imaginate, quede en shock! Soy bendecida de verdad.